Towns transferred the leased areas of the three properties to the Whites in 1871. The White family was expanding its interests in several directions at this time. William Duckett White became manager of Beau Desert station in 1844, when it adjoined Nindooinbah, and bought it in partnership with his cousin, George Robinson. In the 1860s, White acquired extensive lands towards the coast, presumably stimulated by the 1865 Queensland government regulations designed to encourage the cultivation of sugar and coffee. Fear of resumption of their land for cotton growing in the early 1860s spurred other Logan-Albert families to take up runs in the pastoral country of the Burnett. Anne Collins at Mundoolun in 1860s was afraid that government would resume Mundoolun for cotton, so encouraged her husband, John, to develop Waterton in Dawson River area for cattle, in case they had to move; the Collins family also took up Westgrove on the Dawson River in 1862, a more suitable run for the sheep which were not thriving in the Logan-Albert River. 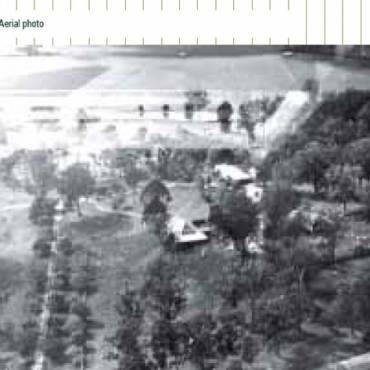 By 1868, the White family holdings included Tubber, Murry Jerry and Coombala (Coombabah) runs on the coast, Beaudesert station and the adjoining runs, Kerry, Nindooinbah and Sarabah with 3,303 cattle. In the early 1870s, White acquired Bluff Downs near Charters Towers where he installed his son, Albert. William Duckett White sold Beau Desert to Robinson who, in turn, sold it to Ernest White who presided over its subdivision into town allotments. As well as expanding their pastoral and agricultural interests, the dominant Beaudesert families formed business partnerships in the meat industry in this period. John Collins and Sons, based at Mundoolun, was formed in 1863, the Collins’ family’s North Australian Pastoral Company in 1877, and Collins White and Co in 1883, with Albert White of Bluff Downs as the White partner. These partnerships all expanded their holdings in northern and western Queensland and the Northern Territory. William Collins, for instance, acquired Woodstock and Inkerman in the Burdekin from Robert Towns’ estate in 1877. 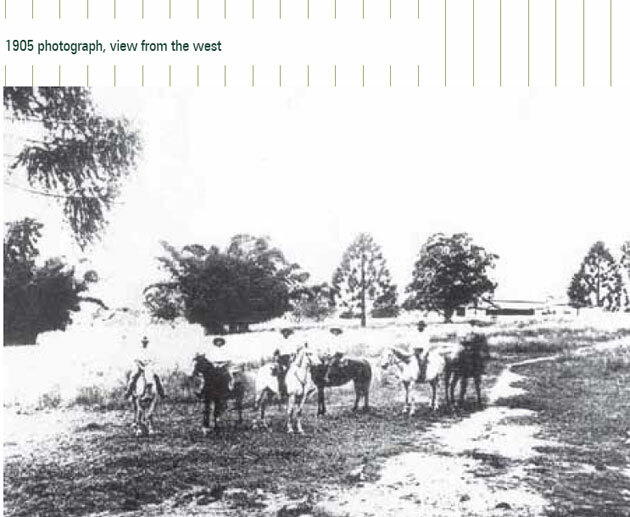 By the 1860s, the transfer from sheep to cattle and horses had been completed on all the Beaudesert stations. Much of this expansion was financed by mortgages which provide an insight into the complexities of the Nindooinbah families’ business and personal relationships. William Duckett and Ernest White were, for instance, mortgaged to Bank of Australasia for £4000 in 1868 against the security of their Beaudesert and coastal runs. The interests of the Bank of Australasia brought William de Burgh Persse to the area. He had investigated North Queensland almost immediately arriving in Queensland from Ireland in March 1863 and was appointed by the bank to manage Tambourine and Marroon stations in March 1864, before buying Tabragalba, which adjoined Nindooinbah, in 1865. Tabrgalba was the base for his ownership of several stations in North Queensland which he sold in order to acquire five stations in the Burnett region. Cattle bred at Tabragalba stocked his stations Connemara and Palparara near Farrar Creek in the Cooper Creek area. De Burgh Persse bought Hawkwood station in the Burnett, formerly owned by Thomas Lodge Murray Prior, in the 1880s and then bought Yerilla (Rocky Downs) which he held with his son, Dudley. In 1905, Persse combined Eidswold, Boolgal and Culcraigie into Eidswold (now Eidsvold) which he held with son-in-law Fitzpierce Joyce who married his second daughter, Rose Eileen. Joyce’s brother, Edgar had married Persse’s eldest daughter, Rita and his third daughter, Jessie, married Cecil S Delpratt of Tambourine station. 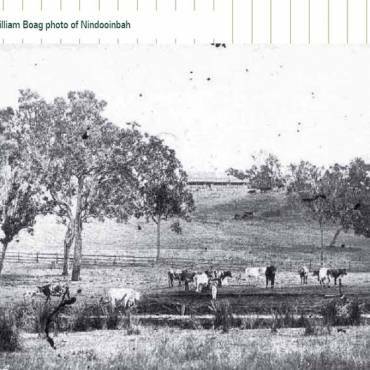 During the 1867 drought Mundoolun cattle were agisted at Nindooinbah because Ernest White had very little stock, suggesting that the White family may have used Nindooinbah as a base to manage their extensive holdings. In 1869, a valuation included 534 rods of fencing. Ernest White married Annie Barker from Tamrookum on 2 November 1871. 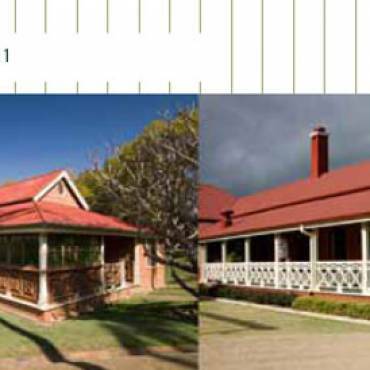 A valuation in January 1871 listed the main house, valued at £2000, 2800 cattle, 200 horses and another house on the 640 acres of freehold land, with 391 acres of ‘improvements’ on the Nindooinbah leasehold valued at £195.10.0. Fencing near the lagoon is shown in the 1872 photograph (See Figure 3) which also shows an unidentified outbuilding appears close to, and slightly north of, the position of the present nursery wing. No development in the garden is visible in this photograph. Ernest White developed a horse stud at Nindooinbah in the 1870s and was renowned as a horse breeder, raising the champion, Charlton. Stallions standing at Nindooinbah included the chestnut, Clan Charlie.28. Horse racing was a favourite activity for the Beaudesert families. Picnic races rotated around the various properties from the mid nineteenth century onwards. The Nindooinbah race course was located on the Wyambin side of the fl at land between the lagoon and the Albert River, within the Heritage Register boundary. The old Tabragalba race course site is also visible from the front verandah of Nindooinbah. Although sheep had gone from Nindooinbah by the 1870s, the woolshed remained in use as quarters for workers on the property. Ernest White rarely lived at Nindooinbah after 1881. He was in ill health for several years before his death in 1884. His widow and children, who were all minors at the time of his death, continued to live at Southport. Ernest’s White’s children were his heirs; his widow had only a lifetime interest in his extensive estate which included considerable real estate in addition to Nindooinbah, and his shares in the White & Sons partnership. Ernest White’s will directed that his other properties should be sold in order to postpone the sale of Nindooinbah as long as possible. 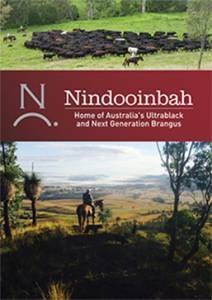 In the 1880s, Nindooinbah was regarded ‘one of the finest cattle runs in the colony’.31 However, by the time of the next change of ownership in 1900, the house and the property had deteriorated markedly.